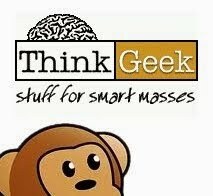 Saturday mornings in the 1980’s were amazing times to be a kid. Every week the colorful adventures of your favorite heroes and villains were broadcast right into your living room, and in 1983 the classic tabletop game DUNGEONS & DRAGONS added its own animated series to that storied lineup. 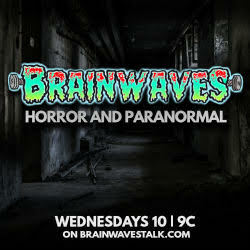 The series followed the adventures of six children, thrust into a realm of fantastic monsters and magic by way of an enchanted roller coaster in their local amusement park. 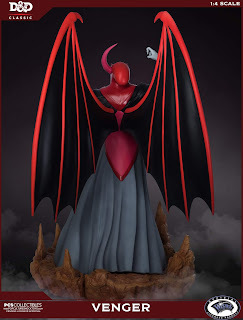 In this realm, they meet the kindly Dungeon Master who bestows upon each of them a magical weapon they can use in their quest to find the way back home. 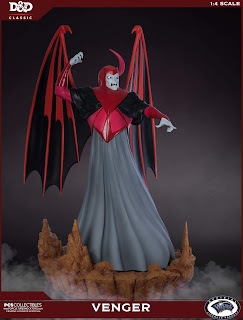 Standing in the way of the young adventurers is the evil wizard, Venger. 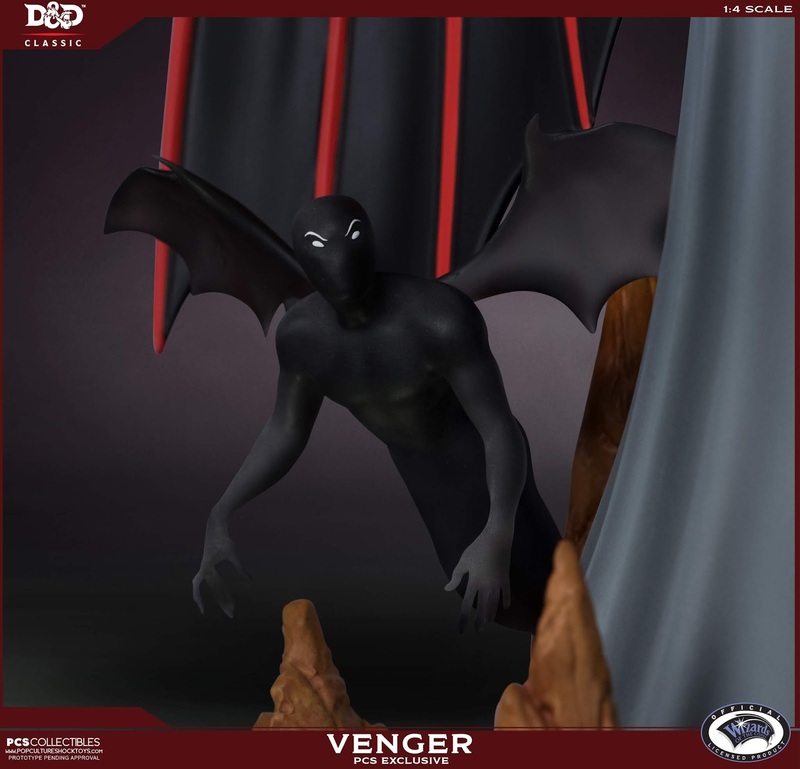 An imposing figure with bat-like wings, Venger is immensely powerful and will stop at nothing to rule the realm of Dungeons & Dragons! 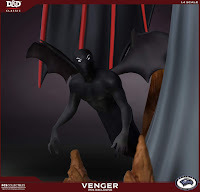 PCS Collectibles is proud to present the Venger 1:4 Scale Collectible Statue. 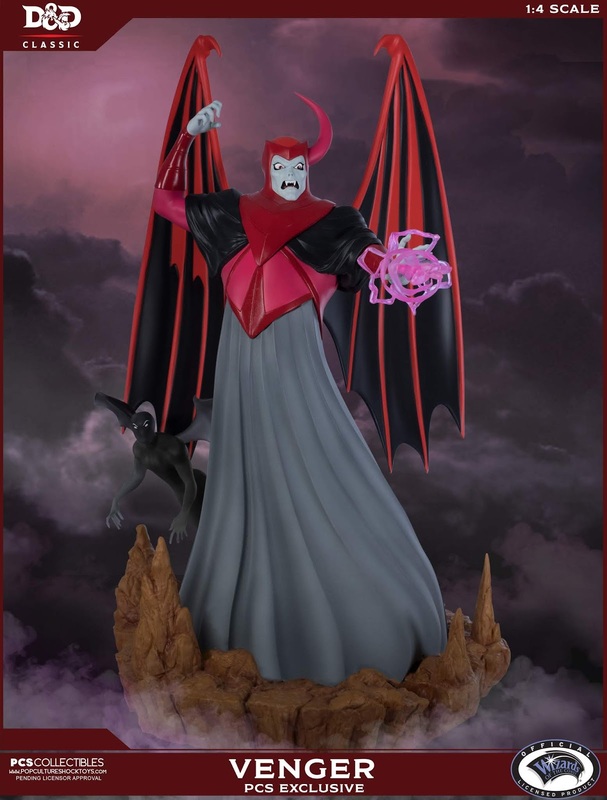 A figure that would be right at home in the throne room of Venger’s castle, this fully sculpted polystone statue is hand painted and strictly limited to only 400 pieces worldwide. The PCS Exclusive version will include Venger’s loyal henchman, the Shadow Demon, as well as an alternate swap-out arm with a magical energy effect! 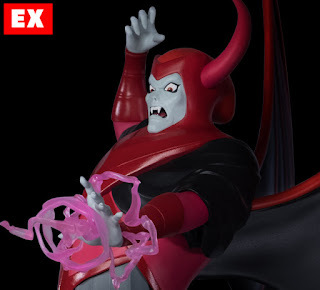 This version will be limited to only 250 pieces. 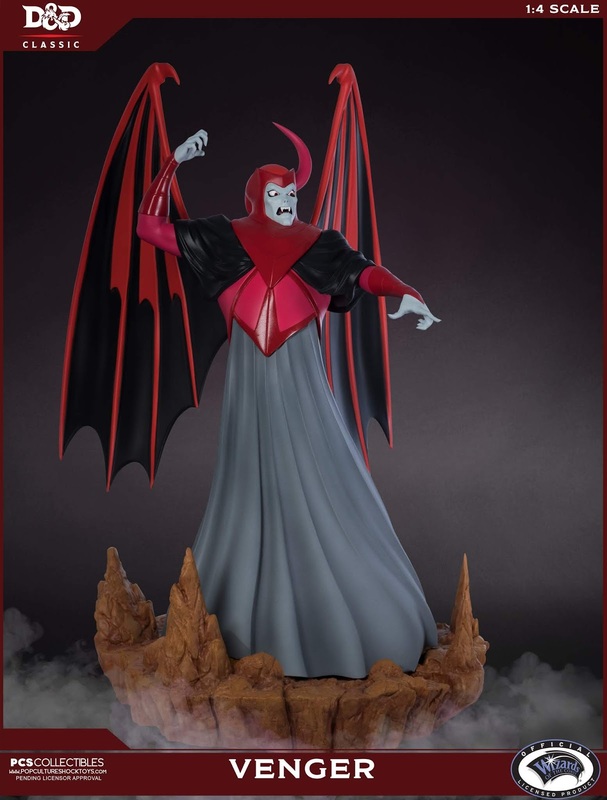 Both versions of the Venger 1:4 Scale Collectible Statue will be individually numbered and come with a Certificate of Authenticity.